If you're going to change your hair this year, make it one of these cuts. There's no better way to say goodbye to the last year than getting a new haircut. Even if you're perfectly content with your current cut, it's like an alarm goes off in your head when the clock strikes midnight on New Years Eve. Suddenly, you have the urge to switch up your hair. Now. The only problem is figuring out what cut to get. 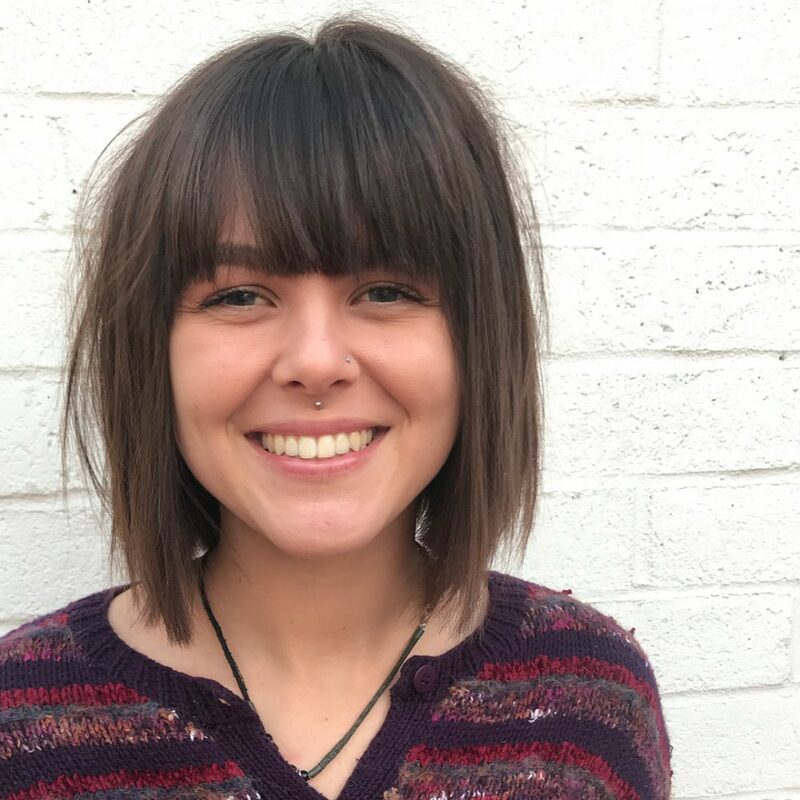 That's why we turned to ROB PEETOOM master stylist Linda de Zeeuw to find out the biggest haircut trends of 2019 so you can narrow down your choices before the new year rolls in. Whether you have 2018's uber-popular bob (and still love it), or your long hair is starting to feel stale, there's options for every hair length and texture. A dramatic or subtle change may ultimately be up to you, but all of the bases are covered with 2019's haircut trends. Keep scrolling for all the haircut inspiration you need before heading to the salon. If you somehow weren't convinced to chop off all of your hair into a bob in 2018, breathe a sigh of relief because the cut is still going strong in 2019. This year's version of the bob is blunt and hits at the jawline, but when tucked behind the ear, you'll get an A-line effect. It's also great if you're looking to make your hair appear fuller because de Zeeuw says the shape will make your hair look as thick as possible. This isn't your mother's shag from the '70s. This modern take on the cut is 2019's answer to all of the blunt cuts that where so popular in 2018. Full of texture and movement, it's a great in-between cut for anyone who's transitioning from a shorter to longer length because the layers keep hair from looking too heavy. "To create a messy/undone look, use a texturizing product life Davines This Is A Sea Salt Spray in wet hair," says de Zeeuw. "Blow-dry the hair while your head is upside down, and finish with a styling paste." For curly hair, she suggests prepping with a curl-enhancing product like Davines Love Curl Revitalizer. Twist the curls, and let it air-dry or use a diffuser on your blow dryer. Finish by separating the curls with your fingers and use a bit of serum to define them. You're not sick of your bob just yet, but you want to freshen up your super trendy cut for the new year? Add a set of bangs. "Bangs will change the face frame of the haircut, and that creates a more individual look," says de Zeeuw. "You can call bangs ‘the voice’ of the haircut." If you have curly hair, she says to work with the natural texture of your hair and not to go too short. With straight hair, keep your face shape in mind when choosing the bang style you like. When you're styling them, use products sparingly because they can weigh bangs down and make them look greasy. The cut favored by all of your '90s-era heartthrobs is making a comeback, and it looks so much more chic on Emilia Clarke than it did on Brad Pitt. This pixie is short on the sides with long, choppy layers up top. "This hairstyle is very nice for a lot of different face shapes because there's a ton of ways that you can style it," explains de Zeeuw. "With a round face shape, go for more volume on top. For a long face shape, you can wear the front part down, and you can alter it with a messy fringe." Generally, short haircuts have to be styled every day — even if you're going for an undone finish. To add body to flat second-day hair, try blasting the top layers of your pixie cut with a volumizing spray like Living Proof's Perfect Hair Day Body Builder and then muss them up. Curtain bangs blew up all over Pinterest in recent years, and the retro-inspired trend isn't going anywhere in 2019. If you've been debating getting bangs, curtain-like fringe is the perfect intro look because they're low-maintenance compared to other styles. de Zeeuw says that curtain bangs are "the perfect way of changing the face frame of your haircut without the high-maintenance that comes with a blunt fringe." The stylist recommends combing the bangs to the front when your hair is freshly washed and damp. This will make the hair dry in its natural shape. Once your bangs are dry, part them in the middle and lightly spray Davines This Is A Medium Hairspray to set them in place. If you've been itching to change up your current cut but aren't sure where to start, these layers are your best bet. "You can use this hairstyle to make a soft face frame that will make the hair less heavy around the face," says de Zeeuw. 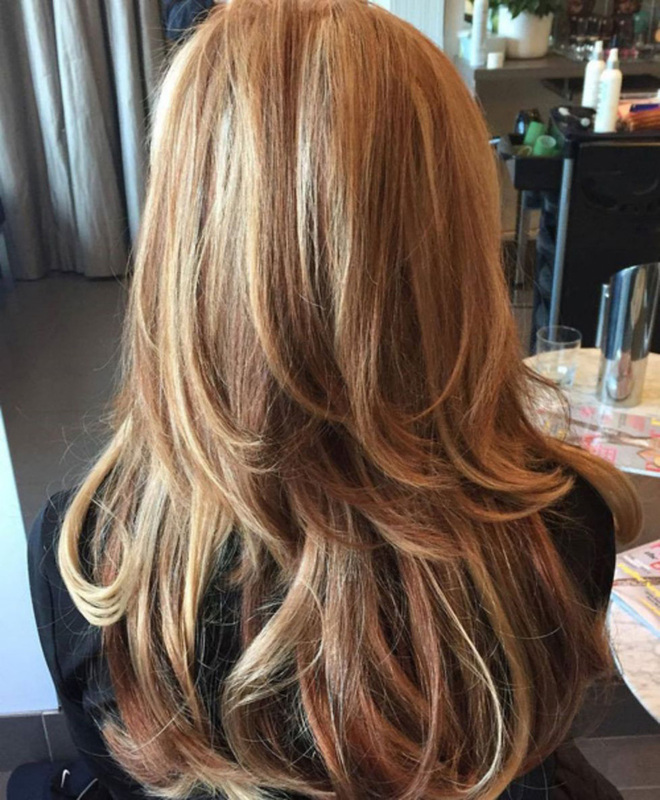 "If you create long layers in long hair, you create movement without losing the beautiful, full length, which makes it perfect for most hair types." The stylist says that these layers are also great if got a bob in 2018 (the year's hottest cut) and now you're ready to grow it out. 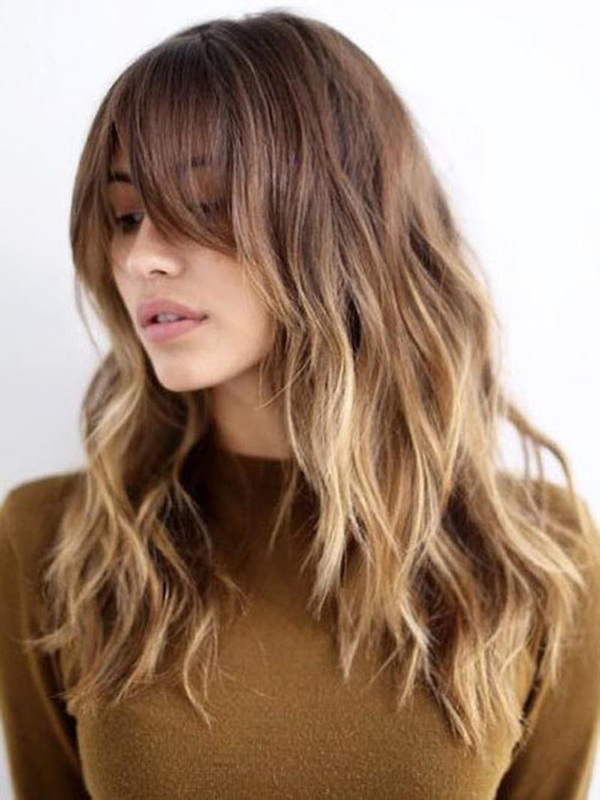 Although this cut works on straight, wavy, or curly hair, if you have fine hair, she says to keep the layers minimal because too many can make your hair type look thinner.